(Animation of the "penumbral shadow"
Click here to find out when the eclipse will begin in your area and when it will reach its maximum. If you snap a great photo of the eclipse on Thursday, we want to see it! We'll be hosting a live blog of the event on the evening of Thursday, Oct. 23 from 5 to 7 p.m. EDT. You can tweet your photos with hashtag #HuffPostEclipse. 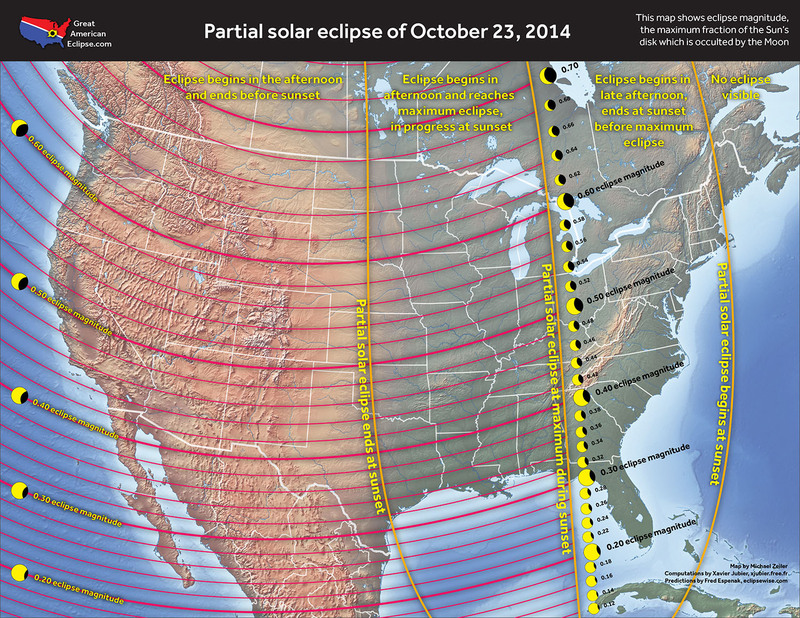 Or submit them directly to our "Partial Solar Eclipse" slideshow. A partial solar eclipse is seen through cloud at Sanur beach, Bali, Indonesia, Friday, May 10, 2013.